Well, I've started 2014 in exactly the same way as I started 2013... by reading a book written by Clarissa Dickson Wright. Over the last year or so I've read two books by Clarissa, Rifling Through my Drawers and Clarissa's England. Having really enjoyed both I thought it was about time I read her actual autobiography so when I saw it in the library just before Christmas, I nabbed it. 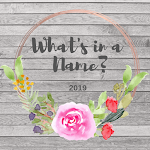 She was born Clarissa Theresa Philomena Aileen Mary Josephine Agnes Elsie Trilby Louise (for the cook) Esmerelda (for her father's favourite pig) in 1947. Her feeling is that her family chose a first name and then all got drunk and went silly choosing names! Clarissa was the youngest of four children, her three siblings all being much older than her, the nearest being her brother who was thirteen at the time and the oldest around twenty. In many ways it was a very priviledged family she was born into. There was money on her mother's side, lots of it, but not on her father's. Her mother's family generally felt Clarissa's father married her mother for her money. He eventually became a very successful and famous surgeon, unfortunately he was at the same time an alcoholic who was violent towards his wife and children. He beat them mercilessly and, like many families with this kind of problem, it was the family secret. Eventually Clarissa was sent to boarding school and found herself one of the few girls who preferred being at school to being at home. It was a wonderful release for her, so much so she was questioned by the headmistress. Eventually Clarissa, after much pushing, admitted that the reason she didn't want to go home was that her father was an alcoholic who beat the family. The headmistress thought she was lying, wrote to her father about her pupil's lies and naturally, an even worse beating followed. She stopped trusting people after that and admits it was many years before she started doing so again. Of course, a childhood like that tends to sow seeds of a rather sinister nature, and after the sudden death of her mother, an event which shattered her, Clarissa took comfort in the bottle herself and became an alcoholic. At the time she was the youngest woman to become a barrister, and did manage to continue with her work. But a downward spiral had begun and lasted for many years, and Clarissa tells the story with unflinching honesty and bravery. Some of it makes you want to cry for her. She doesn't put the blame where it belongs until quite late in life, but as a reader reading all of this it's quite obvious whose fault it is. The thing I found shocking - amongst many - was how much alcoholism exists in the world of the well-to-do and wealthy. It seems every other person had a problem with alcohol: I was shocked to discover that her partner on the world famous Two Fat Ladies, Jennifer Patterson, was also an alcoholic. Though by that time Clarissa had been dry for many years. The Two Fat Ladies cookery shows finished when Jennifer Patterson died. I didn't realise it but she was twenty years older than Clarissa; I knew she was older but not by that much. Since then she's gone on to do another series, Clarissa and the Countryman, championing the countryside and the right to hunt, and we also see her on various food documentaries. She even turned up on an edition of Eggheads at Christmas and won her round... on food of course. I really enjoyed this autobiography. It sounds a bit miserable but in fact it's not. Clarissa's sense of humour always shines through. She's honest and self deprecating and this is not in any sense an 'Am I not wonderful?' sort of autobiography. In my opinion she is a brave and courageous woman and I'm full of admiration for someone who can survive what she's been through and emmerge intact on the other side. Worth reading. I loved The Two Fat Ladies, just loved them. Reading your review reminded me I have this book somewhere on my shelves and how much I would enjoy reading it. I must get it out. Sounds really interesting. Cath, you always point me in the direction of interesting authors and books that I have not heard of and you've never steered me wrong. I'm always surprised at computers. It used to be that I always had to sign in as booklogged to make comments on a post so I was surprised just now when I saw my name on that last post. It seems they have a mind of their own, which is probably a good thing as I continue to lose bits and pieces of mine. I hope my library has a copy of this. 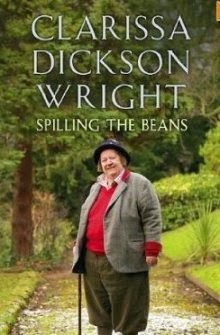 I think I saw a TV programme a while ago now about her life, so I knew some of her background, but I would like to read this book - oh dear! what about my enormous TBR piles though??? Kelly: CDW is a very interesting woman who's lived an unusual life. Val: LOL! Sorry about that. Pam: I loved them too, especially that they were older women in a genre of TV dominated by men. It was very interesting and so were the other books of hers that I read. Cheya: Thank you, I'm so pleased. Margaret: I'm allowing myself a few library books this year. Partly because I like nothing better than a trip to ours but also if we don't use them we might lose them. I know just what you mean, Cath. The library van visits my village once a fortnight and unless at least 4 people use it each time we will lose the service! So I have to borrow books! Actually today I went to Barter Books - I 'have' to go there because my husband has 2 monthly appointments at the Ear Clinic which is just across the road from BB. Guess which book they had on the shelves? Yes, Spilling the Beans, so that came home with me - I don't count bartering books as 'buying books' (I'm well in credit there) and will read it later this year when I've read more of my TBRs. How strange... not that you 'had' to go to Barter Books, 'of course' you had to go... but that they had Spilling the Beans. Left a comment on your Cloud Atlas post but once again it's not showing. I didn't want you to think I've stopped commenting. I do hope Clarissa and the Countryman finds it way over here, We enjoyed Two Far Ladies so much. You post an interesting review. This sounds like an interesting autobiography and I'll be on the look out for it (or, better yet, go looking out for it). Penny: The series is a few years old now (possibly 6 or 7) so I'm guessing it probably won't appear there now. A shame. 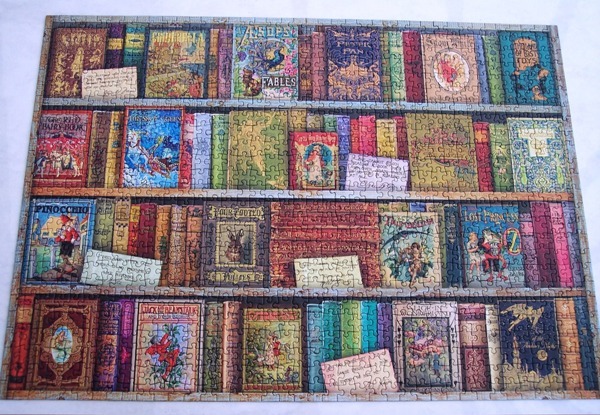 You might find the book at your library given how popular Two Fat Ladies was in the US.